How Long Does A CPAP Machine Last? 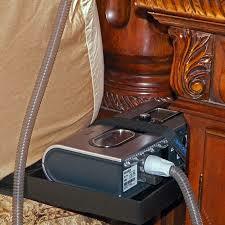 What Does Your CPAP Machine and Your Furnace Have in Common? Last week the motor in my furnace burned out and like any normal person my first thought were “How much is this going to cost me?” and “Should the motor in my furnace burn out after just 8 years?”. I have always been diligent about changing the filter and making sure it was maintained but like any other motor that runs on a frequent basis (i.e. computers), it’s going to go bad at some point. After the repair man inspected it my first question was answered quickly, $476.00 would be the cost of replacement and labor. While this was a bit hard to swallow it was relieving to know that it was fixed just in time for cold weather season. 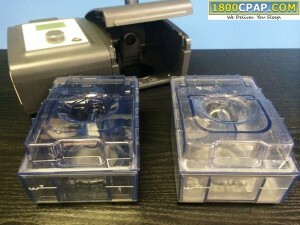 A CPAP (continuous positive airway pressure) machine is very similar to a home furnace in the sense that they both have motors that propel a fan that generates air. 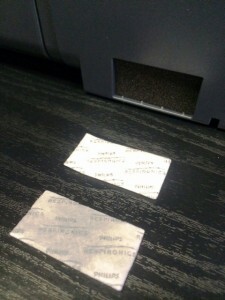 They both use filters (standard and hypo-allergenic) to keep dust, particles, and debris out and when changed on a regular basis will prolong the life span of the unit. They both provide a life necessity for those that need it and without we may suffer. While I cannot answer how long the average life of a furnace motor is I can shed light on what is important for you to know about your CPAP. Which Model CPAP is Best for Me? This is a common question we get from our customers unfortunately it’s not a cut and dry answer. Over the past 14 years in sleep medicine I have seen many makes and models of CPAP and BiPAP (bi-level) on the market and some have been plagued with error codes and faults while others I can only describe as “work horses”. While the Respironics REMstar Legacy series in my opinion was a work horse that seemed to keep going and going well past the Energizer bunny, their next model the M-Series seem plagued from the first unit that rolled off of the assembly line. After processing many repair and returns for the Respironics M-Series (which they pulled from market rather quickly) we recommended that customers choose a ResMed or Fisher Paykel model. 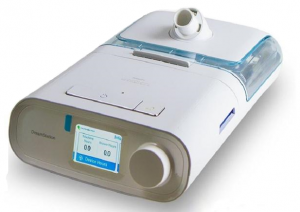 The M-series is long gone now and Philips, which purchased Respironics shortly after the M-Series, released newer models like the 50 series, 60 series, and now the DreamStation. The 50 and 60 series have been noted to be very durable and long lasting machines which has brought faith back to the Respironics brand. How Can I Get The Most Out of My CPAP? Research– Get feedback from product reviews of the model you are considering to purchase. Newer does not always mean better, the ResMed AirSense series and Philips Respironics DreamStation have been released in recent months but that doesn’t mean they are any better than the ResMed S9 and Respironics 60 series, both of which have a great reputation for performance and durability. Both of these manufacturers offer a standard 2 year warranty to replace with new if the unit becomes defective however another manufacturer, Devilbiss offers an industry best 5 year warranty with a lower price tag. Consider purchasing a refurbished unit at the fraction of the price of a new one. Often times the refurbished units are returned by customers to providers because the customer tried and could not tolerate therapy and have very few hours of use and still carry a large chunk of the manufacturer warranty. Proper Care and Maintenance- Be sure to properly care for the device you decide to go with. This includes changing the machine filter every 1-3 months or once you have noticed build up (the same you would see on your furnace filter). Place your unit in an area that is free of clutter and will allow sufficient airflow all around your unit. If you travel with your device be sure to take it as a carry on so that it is not damaged in baggage claim. Use a surge protector, not a power strip, where you plug it into. Take proper measures to see that it is secured from falling or from water damage from humidifiers (the CPAP bed holder is a great option for this). Sleep apnea therapy devices have components and accessories that should always be replaced on a schedule basis to get the most out of your therapy as well as prolonging the life of your unit. Change your filter, tubing, water chamber, and mask as recommended or once you have noticed wear and tear.